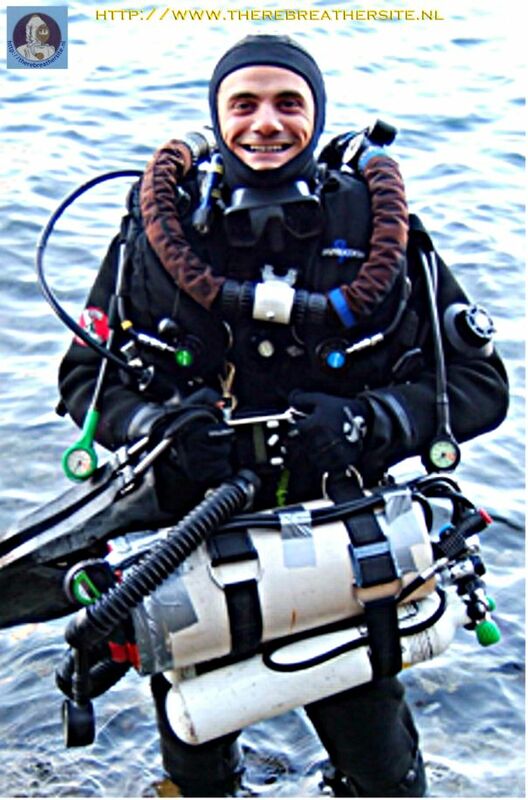 Since I am diving pretty deep and sometimes long dives I decided to switch from my normal Open circuit bailout bottles to a closed circuit rebreather bailout. 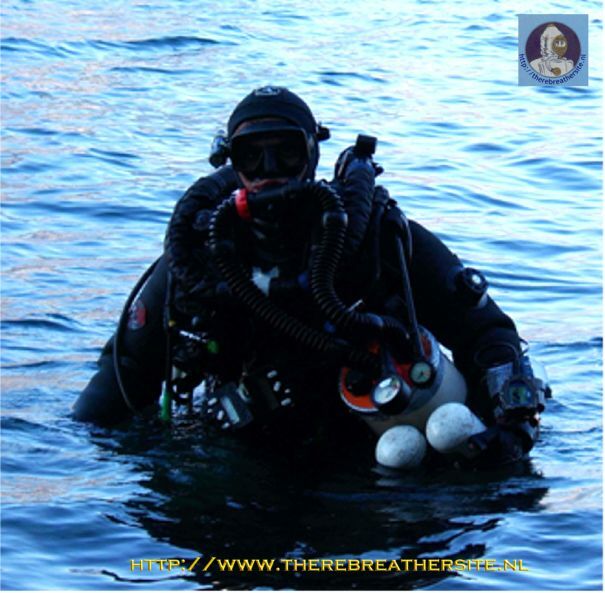 It was a long time since I bought my Dräger Ray and my Dolphin (this one was my first rebreather); Both of them were waiting to get in the water again… because actually I am diving almost only my Inspiration since July 2003. 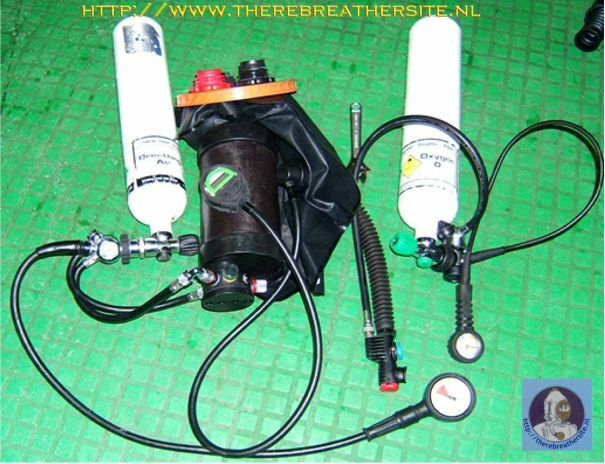 I decided to built my personal bailout rebreather using parts from the 2 Dräger rebreathers! Putting together all the parts from the Dolphin breathing loop and the Ray’s canister and some other component I realized the first version of my CCR mechanically operated/ electronically controlled bailout rebreather called “WC1”. You will understand shortly the reason of the name WC… the number 1 indicate the first prototype… several modification are going to be done in the near future to build mod.2. I bought a Ø25cm/10inches PVC water pipe and I cut it in order to make a cylindrical cover for all the parts; Two cylinders are positioned outside the pipe. Before every dive I can decide to use any tanks available at the moment (oxygen and diluent) because no special size/shape is needed and normal DIN valve are used. 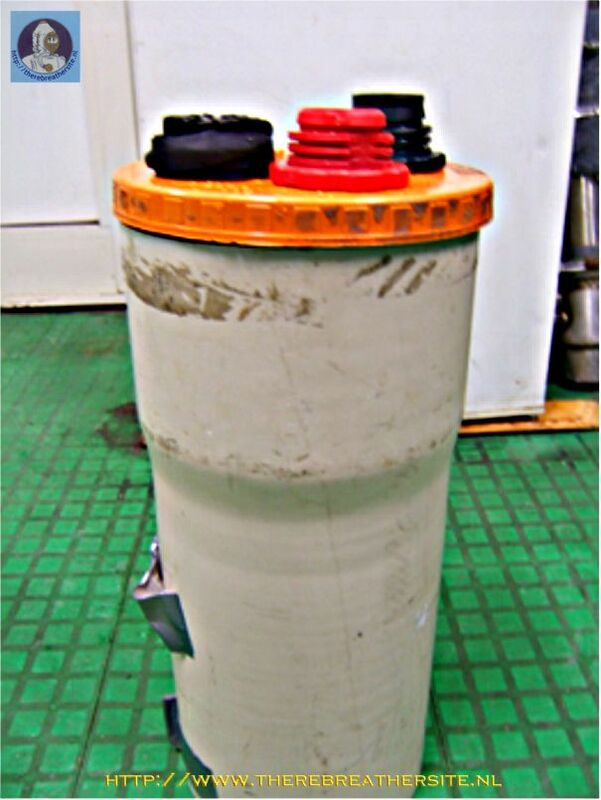 Of course you probably would prefer to use neutral buoyant aluminum cylinders, especially diving in fresh water… any size you need (to me looks fine a 2lt/200bar for both oxygen and diluent). 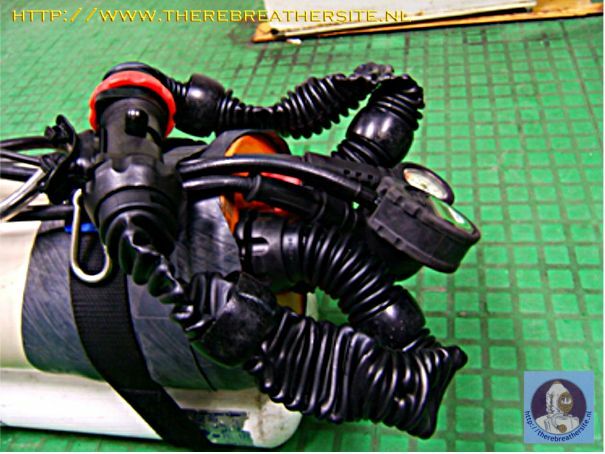 You can also plan to attach one or both cylinders on the side of your main rebreather (connecting it/them to the bailout rebreather using a right length LP hose).. but this is another matter… For sure I won’t suggest to connect the bailout rebreather to the same cylinders of your main rebreather if a failure is due to a cylinder problem it will fail both rebreathers! 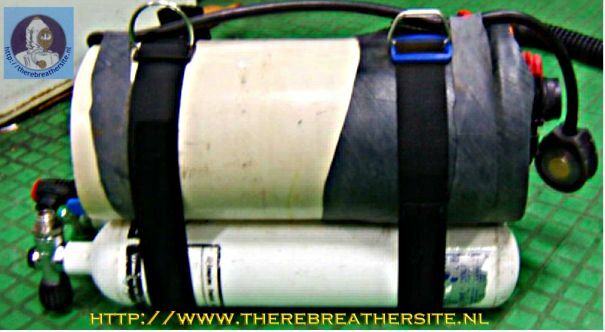 At the moment I am using the standard 3lt steel cylinders from Inspiration as bottles while a standard Oxygauge from Dräger is used to control the Oxygen Pp in the loop (it is connected to one of the two p-ports available on the inhalation counterlung). Actually I own 2 Oxygauges (one from dolphin, one from ray) so shortly I will use both of them to check the Pp in the loop. I started a series of dives that will bring me to check the rebreather up to 40/45mt (maximum working depth for the oxygauge). After that, if I’ll decide to dive it deeper I will need to switch to a different Pp controller, rated to at least 120mt/400ft depth at witch I sometimes dive. To feed oxygen inside the loop I am using a very rude way (but it is cheap and it works for the first prototype): I connected a normal vis from my old BCD to a L piece of the Ray’s breathing hose; this allow me to connect the L piece to the second p-port of the inhalation counterlung and to add oxygen in the same way you add gas inside your BC. The LP hose, in fact, is connected to the Oxygen first stage. No other meaning for oxygen addition is used at the moment but I am thinking to modify the system in order to built a Kiss style valve (0,3 – 0,7lt/min of oxygen addition). I am going to evaluate this option in the future. Total weight is …kg, full loaded, without cylinders. Dimensions are: ….cm length 25cm diameter. Comments here came from just 2 solo-dives that I have done, one in the pool (4mt depth) and one in open water ( Garda lake, 19mt-30minutes). More comments (and improvements of the unit) are going to be added after every test dive. Before the dive a check list is completed and a very good negative pressure test is overcame. General impressions are very good; the unit is pretty light, easy to be carried on surface and underwater. Swimming is perfect, very low drag, pretty good buoyancy. I wonder how fun is to scooter with this!). The unit (equipped with the inspiration 3lt/232bar steel cylinders) is lightly negative when in use (full counter lungs, about 4/5lt in volume) and pretty negative if staged with emptied counter lungs. If staged with full counter lungs it stay in vertical position, slightly negative (about 2/3 kilos). – remember we are talking about fresh water behavior. Breathing resistance is not too bad: pretty good in normal horizontal position. Just a little harder if you turn up side down. The unit can be easily moved in different position (up/down / in the front) as well as can be completely removed for example to be attached to a decompression line. (so you can really optimize the breathing resistance for every condition). It can be “no-mounted” to overcome tiny restriction or it can be completely removed to be passed to a dive buddy or to the guys on the boat at the end of the dive. Oxygen partial pressure is easy to be controlled and maintained. 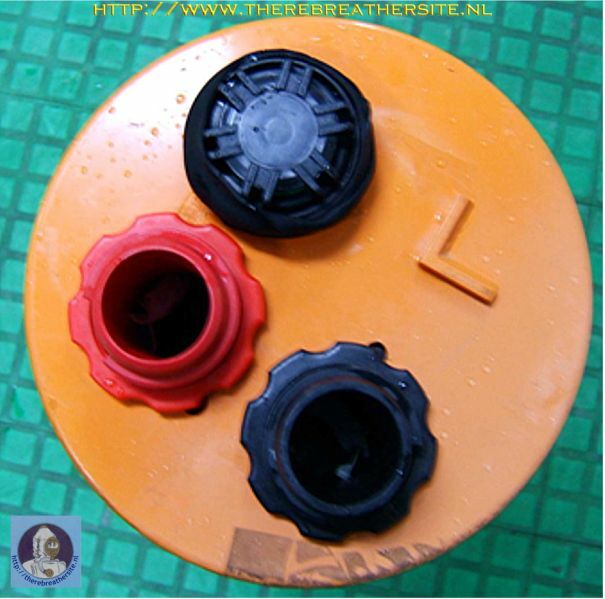 The small breathing loop (about 4/5lt) allow you a very good control using little oxygen. At the same time it is imperative to have a very good practice in manual Pp controlling system because is easy to make mistakes inside a so small amount of breathing volume (as I said 4/5lt). Instruments reading is very good since they are almost in the front of the diver vision. Oxygauge has acoustic and visual alarms to inform you about critical parameters during the dive (High PpO2, Low PpO2, Low Battery and more). It has also a backlit display. Very easy to keep visual control on the overpressure valve as well as operate/rotate it. 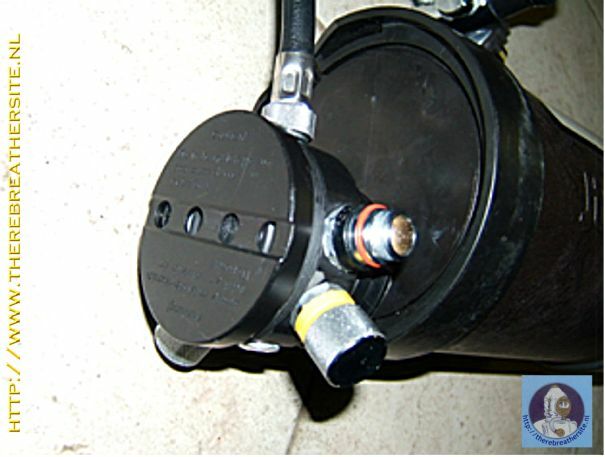 Easy to reach and operate cylinders’ valves, Oxygen manual addition valve and diluent addition valve. 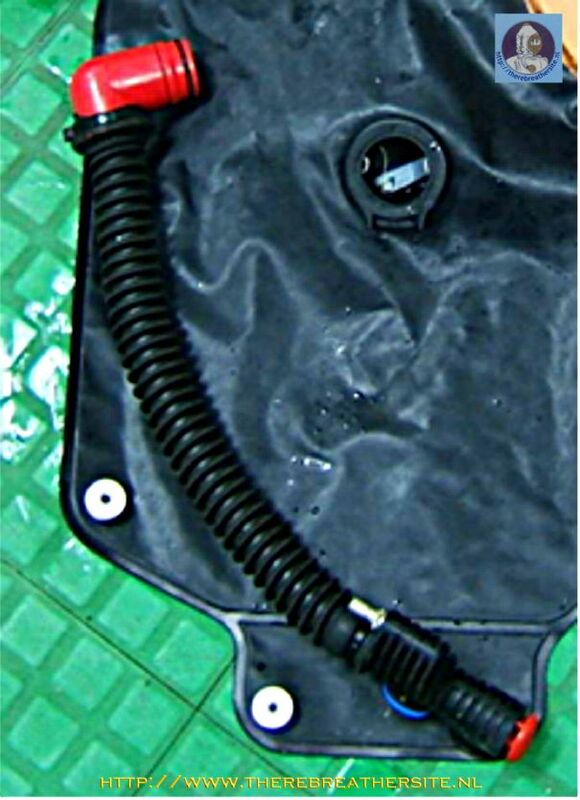 It is possible (in this version of the unit) to real quick disconnect the Oxygen LP hose from the vis (for example for a problem due to a Oxygen free flow in the loop); It is also possible to connect Oxygen LP hose from other cylinders (it is enough to have a BCD LP hose to connect to the rebreather’ vis). After the dive I noticed a very small amount of condensation inside the inhalation bag (it is bad to have large amount of water in this section because there are sensors…). I have to check what happen after, let s say, a 1 hour 30minutes dive. Note the solid position: it allow to press the manual diluent valve easily… because is not going to move anywhere while you are depressing the valve (and also you will find it always in the same exactly place). The front part, the lid from where the breathing loop houses are exiting together with the overpressure valve. Original parts from Dräger Dolphin. Note the PVC rigid pipe lid used as a cover. depth) from primary to bailout rebreather. 2 dives were done using the WC1 on a back mounted version (I can fit a standard BCD around the pipe, fixing the 2 cylinders on each side: it become a wonderful manual CCR back mounted!). The rebreather works good, no water inside it, pretty low breathing resistance , good buoyancy (still negative in salt water due to steel cylinders). I think I will use 2x2,5 aluminum cylinder for my WC2 version. (many many other improvements has been already done). The Oxygen Pp control is not so easy due to the small breathing volume and the abundant amount of oxygen that enter the loop as soon as you push the Vis button. Oxygauge works nicely, clear to read. What I really like is that I do not need to control the loop while I am breathing from my Inspiration: during descent the WC1 is going to equalize the growing pressure just by the ADV; during ascent the relief valve will keep the right volume. A bungee cord keep the bailout mouthpiece just under my inspiration mouthpiece, ready to be used in case I need it. Now, the big questions about bailout CCR: since the chemical is not working and it is not pre breathed... will be work when switch to a bail out rebreather!? 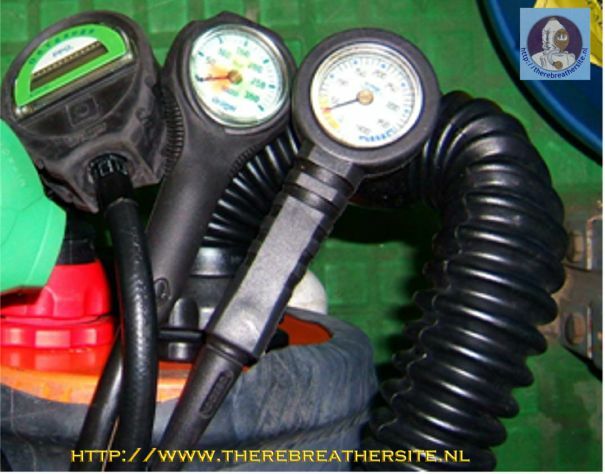 well... this is a good question... every rebreather diver has is own answer... I've got mine. of electrical heater (for example from the battery pack of the light) ... and more.... I don t think I am going to realize any of them. Even though I think it is better to keep both warm (to obtain the maximum absorbing power at the instant you bailout) I think that, during normal dives in the med sea (minimum water temp around 10°C) or warmer is not necessary to do anything to heat the scrubber; I guess it is going to work good anyway. Anyhow, since I am planning to know everything I can about this topic I decided to start a series of tests in order to understand the thermal behavior of the scrubber; Since I cannot count on a CO2 analyzer I am using a special "underwater black box" that allow me at least, to record important parameters of the dive (dive profile) and temperature profile. My intention is to record the temperature profile of the bailout scrubber at rest and during the bailout procedures. I am pretty sure I am going to find some interesting data. A different scenario will be diving under ice (around 2°C water temp) or a very cold water of lakes and springs.... (7/8°C)... not sure if mine previous considerations would be still good. No way to know... I hope someone is going to make test to find the answer (I am not NEDU! :( ).